This level has medium difficulty. For this level try to play near to gums and make special candy as you get the chance. 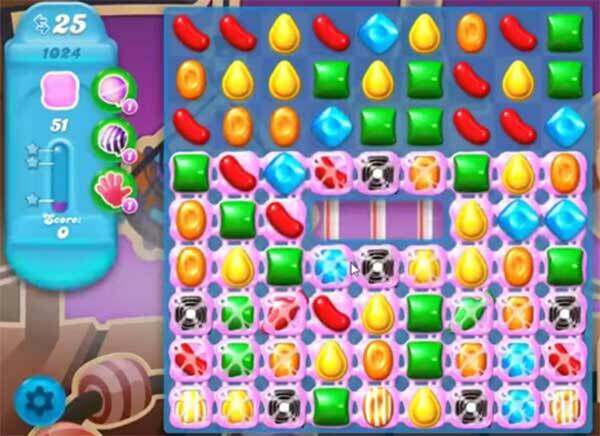 Combine special candies with each other to break more gums or play from bottom part of the board to shuffle the candies as it will help to get more special candy. The same as 1023, video above shows 25 moves but I have 20, why can’t the game work the same for everyone, seriously unfair game. Same thing. Only 20 moves given. Impossible to do.